Our Bamboo Chain Splitter Machine is designed to split the long bamboo to required number of pieces. The machine uses splitter grills and mechanical power for the same. Various grills with different number of blades can be used as the requirement of the final product to be made. Log Splitter as per capacity. We are engaged in offering an exclusive range of Log Splitter from us that are widely used in various industries. We hold expertise in manufacturing, supplying and exporting qualitative range of Wood Log Splitter. Our entire product line is utilized in different commercial and domestic purposes. The goal was to develop a low-cost, wood-splitting device which would split the toughest wood encountered in India and which would comply with the objectives namely, inexpensive, and easy to operate. We are offering Bamboo Splitting Table. This machine is used to split the bamboo into precise size as per requirement. We are offering a wide range of Bamboo Chain Splitter Machine. 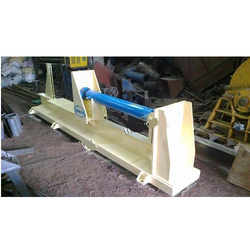 Our Bamboo Chain Splitter Machine is most established in Gujrat. This machine is very fast running with lowest maintenance expenses. 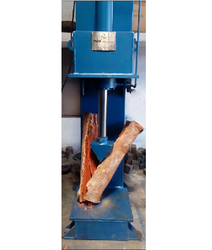 We hold expertise in manufacturing, supplying and exporting qualitative range of Wood Log Splitter. Our entire product line is utilized in different commercial and domestic purposes. Our entire product range is sturdily constructed and are fabricated by utilizing optimum quality components thereby ensuring easy operations. We are presenting a wide assortment of Wood Splitter. These products are widely demanded by the clients for their precise use. Our Wood Splitter is made by using supreme quality material which is sourced from leading vendors of the industry. Moreover, one can get these products in given time frame.